For the assembly of the custom cabinets I am going to give the panel a sanding on both sides to final grip which is 180 grip and then I’ve got to sand the inside of the boards in though that will be on the inside you can’t skip that when you take pride in your work as a good cabinet maker. Plus this will be the only chance I get to do so because when I put it together it will be a lot more difficult to sand the inside of the custom cabinets. The next step is assembling the door so I can attach it to my custom cabinets. So now that I am ready to start assembling the doors I have to lay out all of the material for my next couple of steps. My cabinet maker has already put glue in the grooves to give it that perfect seal on both of the styles, tongues and on the rails in advance so that the next few steps will be easier for me to get a jump start on which is something a cabinet maker does a lot of is preparation. A lot of these steps seem tedious but actually help a cabinet maker spend less time building the whole custom cabinets at the customer’s house. This means we can get out of your hair faster and more smoothly. If a problem arises it would be better that the cabinet maker has to deal with that problem at the shop and not at your home with a half finished kitchen. That's why each cabinet maker takes [ride in each assignment. 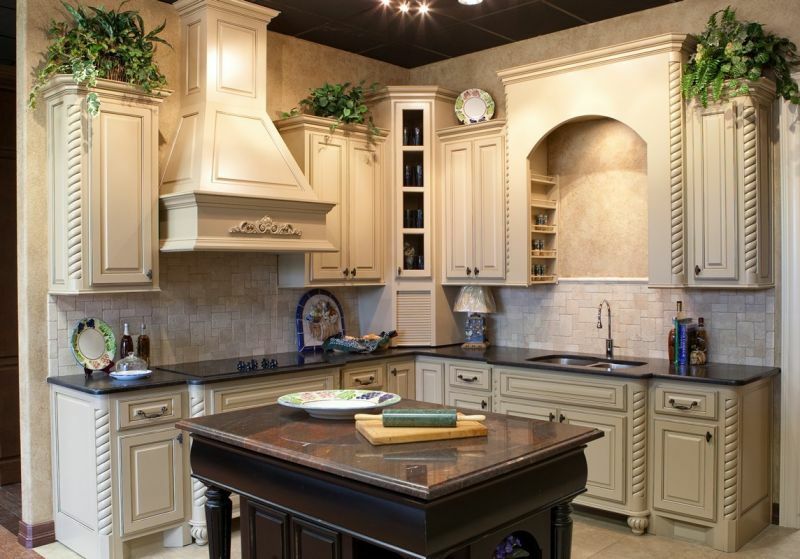 The specialty for these custom cabinets is the corner have a molding to them. This a special design that we do before we show up to the job site. We have a special router but that makes it very easy for any trained cabinet maker to shape this wood.